Don’t get us wrong. 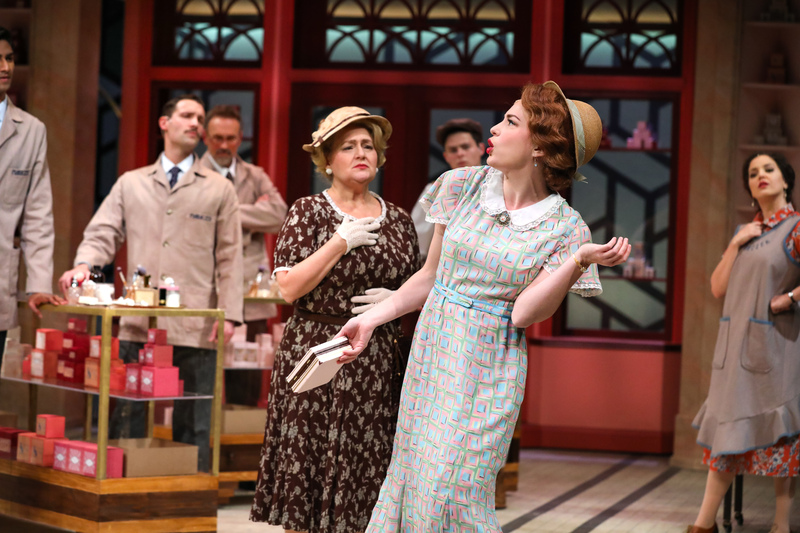 She Loves Me is undoubtedly a musical comedy that will have you walking out of the theatre grinning from ear to ear. And yet, in many ways She Loves Me sets that joy as defiance against the struggles particular to 1930s Hungary. Between the two wars, the nation seemed in a constant battle to form a self-identity amid its rampant economic uncertainty. 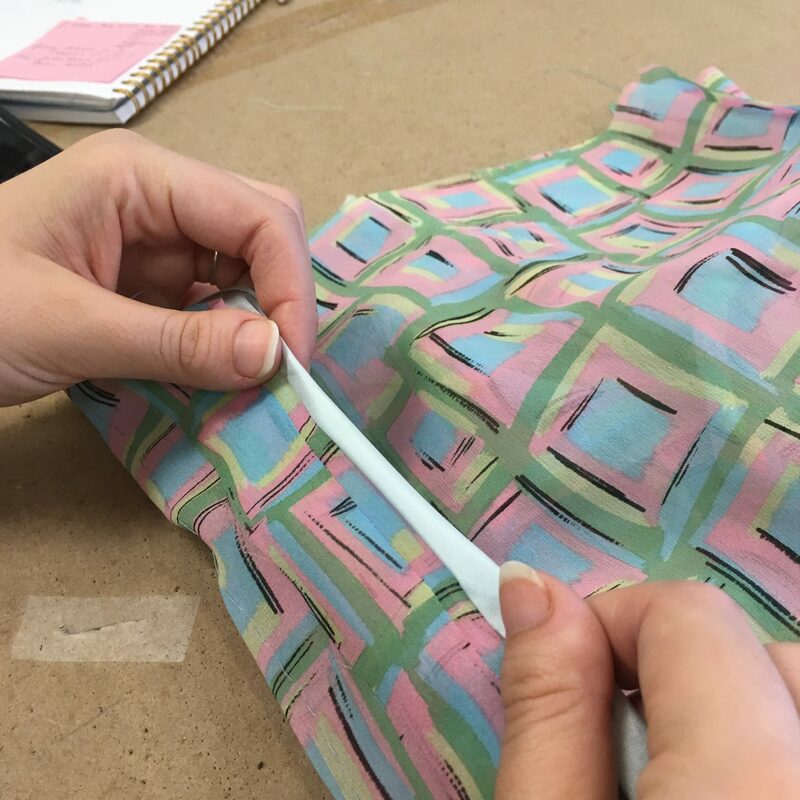 Resident PlayMakers resident designer Bobbi Owen sought to pull these ideas into her costume design for the show, including leading lady Amalia’s first look: a lovely geometric piece draped by second-year costume production graduate Jane Reichard. As a skillful, dedicated, and strong-willed young woman, Amalia has just lost her job due to the shop’s closure and has stopped into Maraczek’s to secure a new job. She is a single woman with dreams and ambitions, who continuously uses her hardships as motivation. Not dissuaded by several attempts by both Georg and Mr. Maraczek himself to send her away, she’s able to land the job of a sales clerk by putting on a dress that gives her enough confidence to prove her worth and talent. 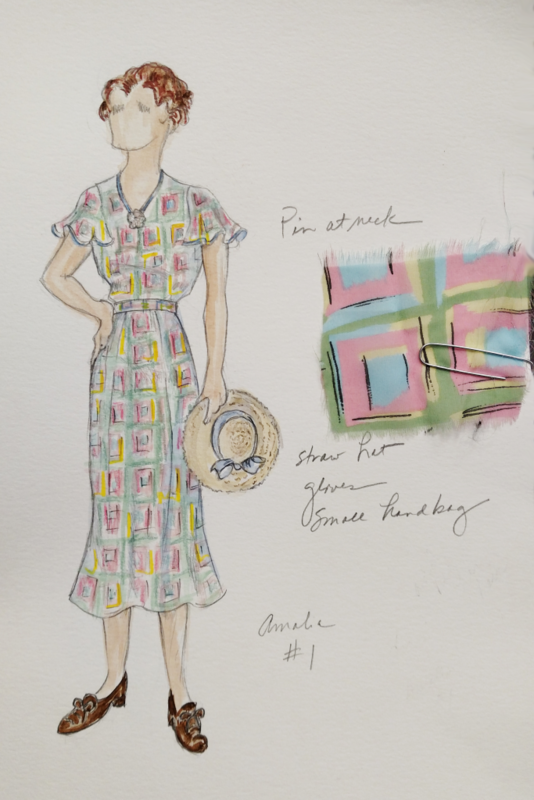 Amalia’s outfit for the first scene plays a powerful role—almost a manifestation of her ability to find beauty in the ordinary aspects of life—whether it be a breezy patterned dress or a musical cigarette case. 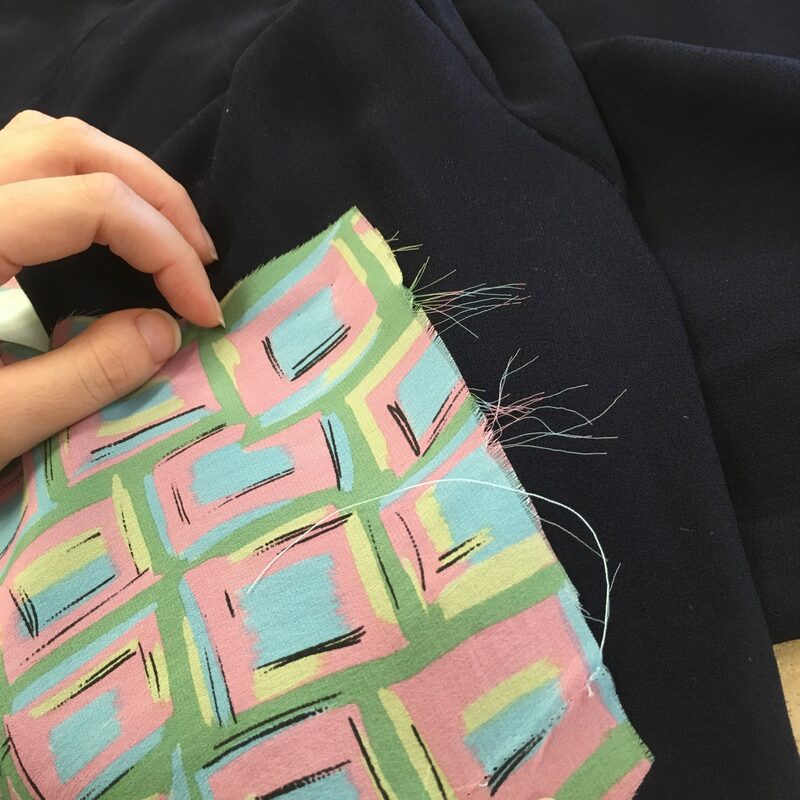 Bobbi Owen may have put an incredible amount of thought and research into each look, but the actual creation of the piece takes at least as much thought and effort. 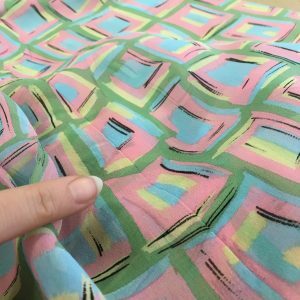 Jane Reichard, the draper on the project, put dozens of hours into ensuring the piece is constructed as designed. 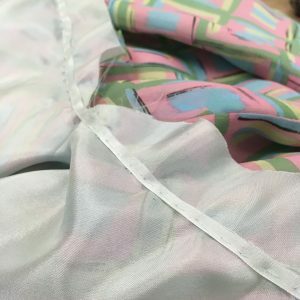 After Bobbi presented her with the sketch for the first look, Jane spent some time asking questions to determine how best to make the vision for the costume a reality. Then came the measurements and custom patterns specifically constructed in couture-style to fit actress Jenny Latimer. 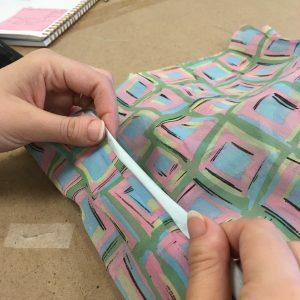 In order to ensure the perfection of the final piece, a mock-up—a first pass created using similar, but cheaper fabric—is made for initial fittings to determine what adjustments need to be made prior to the construction of the final piece. Then come weeks of pattern matching, tracing, cutting, stitching, and seam taping, until Jane and Jenny have a final fitting just before the company goes into tech week in order to ready the actual peice for the stage. The final step consists of seeing how actress and costume work together in action at dress rehearsal, under the lights and stress of actual performance. After a minor adjustment here to ensure the skirt swishes just right and a few tweaks to the accessories, the audience is left with a dress—months in the making—that perfectly reflects Amalia’s character and situation. Because Amalia is not just a working woman; she is also a romantic, hoping to find someone with whom she is “one in mind and heart.” Whether she does or not…well, you’ll just have to see the show! 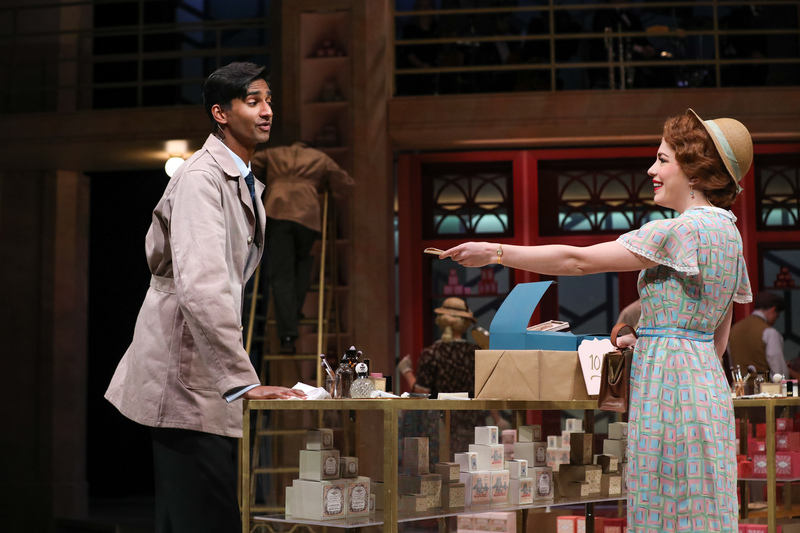 She Loves Me is on stage now through December 9. Get your tickets today!